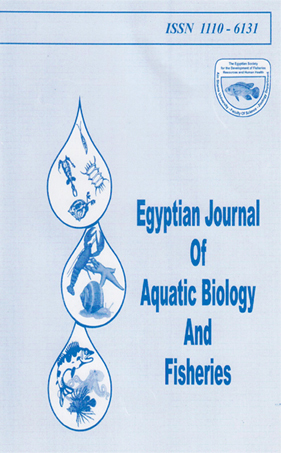 In order to evaluate the contamination state of the Red Sea coastal area, concentrations of heavy metals (Cu, Zn, Cd, Pb, Fe and Mn) were determined in sea water and surface sediments along the western side from Suez to Shalateen. The studied locations were selected to cover potential natural and anthropogenic sources of metal input in the Egyptian Red Sea. Levels of Cu, Zn, Cd, Pb, Fe and Mn in water were 0.85 - 2.61, 2.13 - 14.42, 1.24 - 4.51, 0.11 - 0.31, 8.44 - 33.71 and 0.30 - 0.62 µg/l; while in sediments were 25.67 - 100.77, 52.60 - 143.00, 21.20 - 63.43, 1.23 - 6.63, 11632 – 28321 and 291.43 - 803.80 µg/g, respectively. There were obvious positive correlations between Cu, Zn, Pb and Fe in water; while sediments showed positive correlations between Cd, Zn and Pb as well as between Fe and Mn. The obtained data were further subjected to Principal Component Analysis (PCA). The results lend support to the argument that specific geographical distribution of heavy metals in Red Sea could be related to different types of metal input. In Suez area, highest metal load in water and sediments was due to combined effects of wastes discharge and maritime activities. High contamination of Cd, Zn and Pb in sediments was associated with the shipping process of phosphate ore, while elevated Fe and Mn levels were principally associated with natural input of terrigenous sediments. The sediments indices of enrichment factor and geo-accumulation index showed high enrichment of Pb and Cd due to contamination from phosphate shipping; and the inflow with terrigenous sediments led to moderated to highly contamination with Fe and Mn.